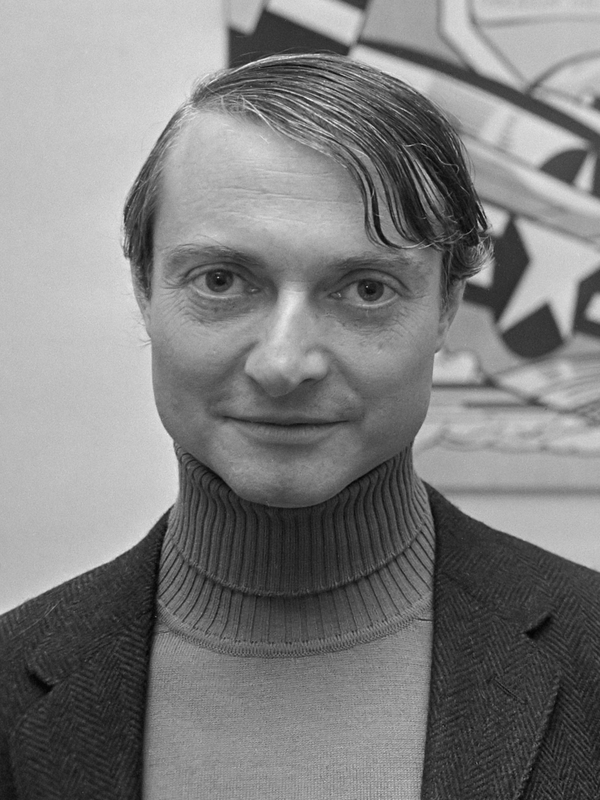 Roy Lichtenstein is an artist for the true culture vulture, one who feels equally at home in the dusty comic book store as they do the Met. Lichtenstein was a staple of the American Pop Art movement, which describes a really hip time in the ‘60s when Roy and people like Andy Warhol made art fun again. While Warhol was silkscreening bodacious blondes and a Campbell’s stockpile, Lichtenstein was developing a style all his own. His paintings look like blown up comic book graphics, with pixelated black dots, speech bubbles and all. The men and women they feature are drama kings and queens, either crying stoically as a perfectly shaped tear rolls down their cheek, or professing passionate love to hot anonymous strangers. They’re over-the-top scenes in bright, primary colors on enormous canvases and we eat them up like candy. Later in life he started “Lichtenstein-ing” (yes, that’s a verb now) other famous works of art, using his signature style to make masterpieces by Paul Cézanne and Vincent van Gogh look like comics. At this point in time his fame also sent tons of commissions zooming his way. From fancy hotels, a mural in Times Square, the DreamWorks Records Logo and a BMW Group 5 racing car…no job was too large for our Pop art superhero. Whether it’s nostalgia for the “Whaam! Pow! Zap!” of afternoons spent with noses in escapist reads from childhood or a penchant for a prettily penned damsel in distress, you’d be hard pressed to find a Lichtenstein hater. Though one of his paintings was lost in the attack on the World Trade Center on 9/11, luckily we can still see plenty of fun, funny work by the prolific artist in museums around the world. Roy Fox Lichtenstein (/ˈlɪktənˌstaɪn/; October 27, 1923 – September 29, 1997) was an American pop artist. During the 1960s, along with Andy Warhol, Jasper Johns, and James Rosenquist among others, he became a leading figure in the new art movement. His work defined the premise of pop art through parody. Inspired by the comic strip, Lichtenstein produced precise compositions that documented while they parodied, often in a tongue-in-cheek manner. His work was influenced by popular advertising and the comic book style. He described pop art as "not 'American' painting but actually industrial painting". His paintings were exhibited at the Leo Castelli Gallery in New York City. Whaam! and Drowning Girl are generally regarded as Lichtenstein's most famous works, with Oh, Jeff...I Love You, Too...But... arguably third.Drowning Girl, Whaam! and Look Mickey are regarded as his most influential works. His most expensive piece is Masterpiece, which was sold for $165 million in January 2017. Check out the full Wikipedia article about Roy Lichtenstein.